Drinkwater Products sizing rings are built from lightweight, durable aluminum. 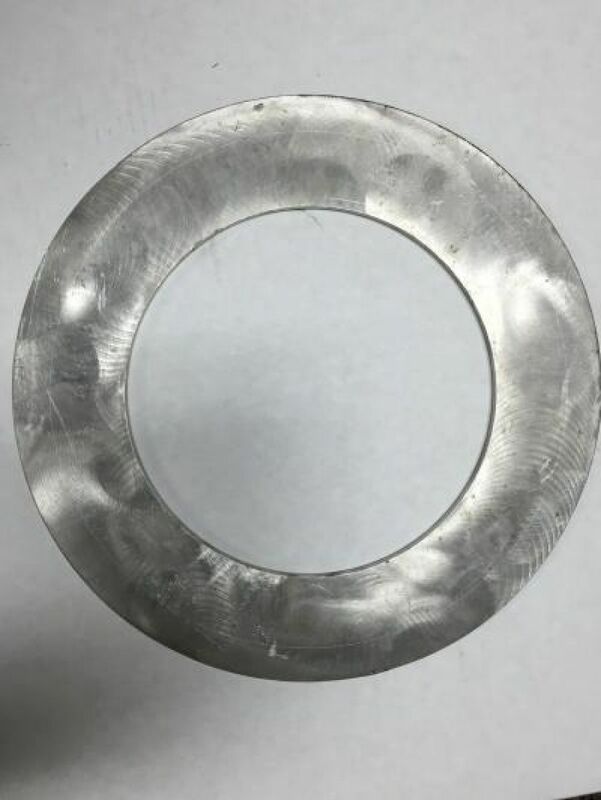 The inside diameter is machined to a specified size to allow the operator to easily check and reproduce the proper inflation sizing of pipeline and prover spheres for use. At the time of an order, the customer will need to furnish the nominal pipe inside diameter and percentage interference. For example a 8" Standard Wall Pipe = 7.981” ID, with a 3% interference, yields a desired sizing ring diameter of 8.22”. Or, if the actual internal diameter of the ring is known, the finished part can be cut to the specified size. Sizing rings are available for the full range of inflatable spheres.